Join residents & community guests to celebrate a special Health & Safety Fair and Nocatee Farmers Market TOMORROW! 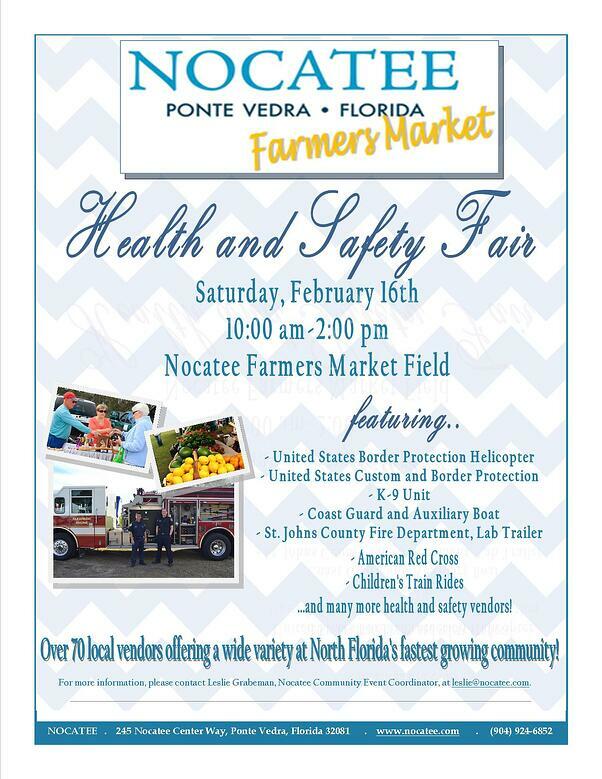 Residents & community guests will be celebrating a ‘Health & Safety Fair’ themed Nocatee Farmers Market on Saturday, February 16th, from 10am - 2 pm. The day of family-friendly fun will include many different national & local agencies and attractions. 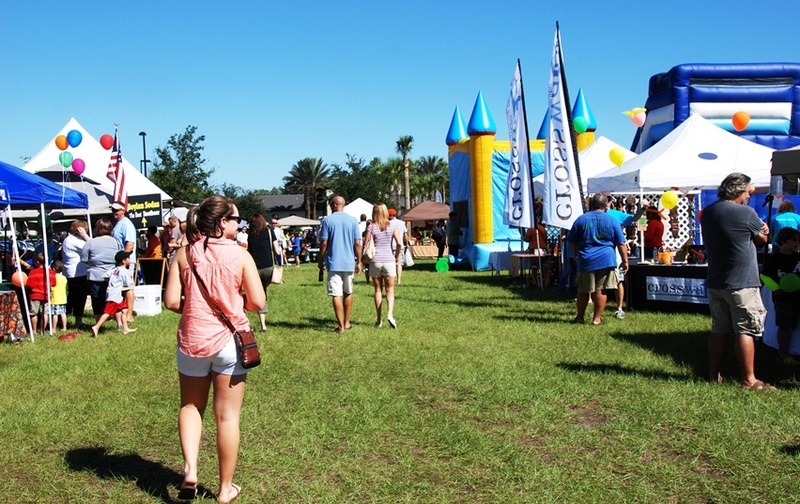 Featured attractions include the United States Border Protection helicopter, the United States Customs & Border Protection K9 Unit, United States Coast Guard Auxiliary boat & truck, the St. Johns County firetruck, the St. Johns County Police, kids train rides, inflatable slides, activities for the kids and much more. Joining this month’s special health & safety organizations, will be more than 70 local vendors offering a wide variety of delights that will include baked goods, organic produce, honeys, local restaurant favorites, hand-crafted jewelry, artwork, herbs/spices and more at the Farmers Market Field. The Market is held every third Saturday of the month, always free and open to the public. Take a peak at some of our recent Farmers Markets on our ‘NocateePonteVedra’ YouTube channel here: http://bit.ly/WdiOZ1.